When I decided to move on from LA and continue my nomadic adventures, I still had a couple months left in the community college semester who’s music classes offered my heart’s current fulfillment. I didn’t want to leave yet, but didn’t want to spend this precious time simply waiting for it to pass so I could move on, either. 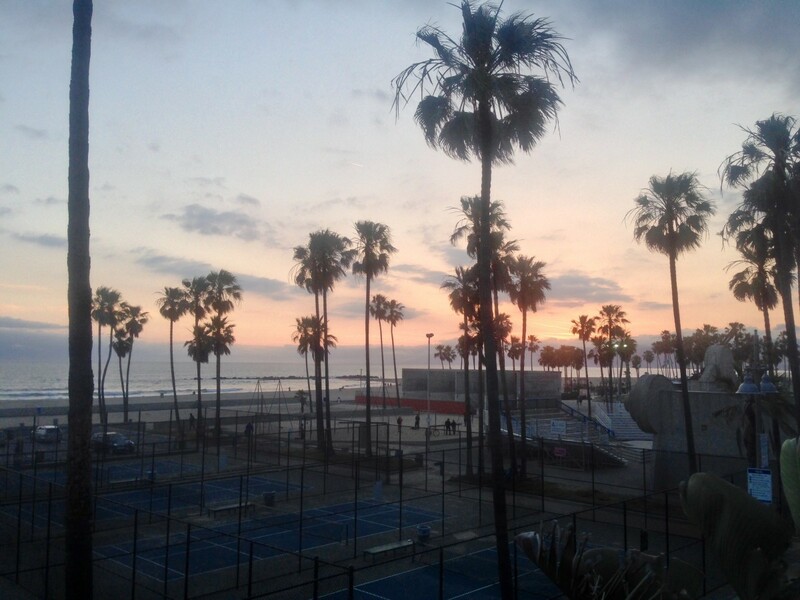 I decided to give myself the one part of LA life I’d always wanted and never quite moved into — the Venice beachfront. I started pouring over Craigslist, as any good urban millennial would. (Yes, I’ve finally claimed that stigmatized generational label) I found a house that looked amazing, with big windows filling the whole beach side wall, yoga teachers and world travellers as existing tenants, and placement right over the boardwalk, just like I wanted. That sublease was longer than I needed though, and a little more expensive than I was fully comfortable with. I emailed it to myself, and spent a couple trouble nights laying awake wondering if I should call anyway. The third day, I checked in on the post and found another space in the house had opened, for exactly the dates I needed, and a bit less money. I jumped, checked it out, gained acceptance from the existing community, and had a security deposit venmo’ed by the end of the day. This is one of the keys of lifecationing I’m getting much stronger at – appropriately timed decisiveness. I will wait endless and defer action ad nauseum if I don’t have a strong green light inside. But once I’m a “hell yes”, even though there’s generally a body-shaking wave of terror that accompanies that affirmation, I’m learning to take action, commit, and move forward. I couldn’t be more delighted with the results. Of course, I went to see the house in the daytime. It was a sunny Venice afternoon. Lots of music, lots of street hagglers, lots of visitors, lots of shouting, lots of visibly unstable personalities — everything we know and love this self-contained altered state of a beachside town. I didn’t realize the quiet it brought at night. And I certainly didn’t expect the sound of waves crashing to float up and caress my uncertain nerves as I made my first dinner in my home-for-the-month. I expect I’ll have quite a few home-for-the-month’s coming up here, right soon. May they each offer such a sweet balance of bustling human life and quiet solitude. And may intuition keep me waiting for these golden chances to say “hell yes”. And may I always find some sounds of nature to wrap me in hugs, soothing the uncertainty. Well done!! Glad you decided to take the leap and spend that type/style of time in Venice—-and—writing about it. Thank you for sharing. Love you & wishing you HAPPY TRAILS—–always…. Previous Previous post: It’s Hard to Write in L.A.